Senior Living Link strives in servicing seniors who are looking to move from their current residence into a senor living facility. Whether you are moving to be closer to family and want to live in a community setting for your age group, or moving to change venues or to downsize, or moving for a more social senior living environment than your current residence, or moving due to an increase need for higher care assistance, Senior Living Link is here for you. Senior Living link understand that there may be circumstances when durable power of attorneys (DPOA), family members, dear friends, and other loved ones have the great responsibility of making the sole decision of where their loved one lives. Our website in many ways was tailored for this particular group of people. Many children find themselves in a “sandwich” generation. This generation tends to be busy with their careers while taking care of their children and their parents. For these busy people, the independence to research off and on during their down time is invaluable. Having a comprehensive searchable websites is therefore key for making this process of finding a senior living home an efficient one. Senior Living Link is unique in that it services senior living facilities as well as those seeking their services. 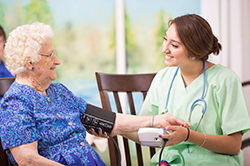 Senior living facilities vary on their business models. Some are very large and are national while others operate as a small business and owners may even provide hands on services to their clients. For this reason, Senior Living Link provides a consistent platform to all senior living facilities regardless of their business model and their approach to marketing their facility, if they even have a marketing strategy. Because Senior Living Link provides their users a directory that is non biased and comprehensive in nature, all senior living facilities large and small can benefit from providing their information for all consumers to see. In addition, Senior Living Link gives voice to the small business senior facility who won’t otherwise have one in the midst of the myriad of senior living facilities. 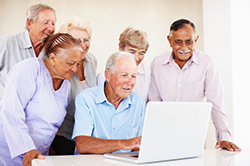 Senior Living Link is a resource for professionals who provide services to seniors and their loved ones. 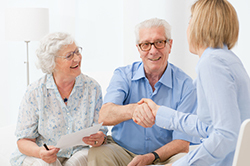 Senior service professionals include placement agencies and their advisors, elderly guardians, social workers from senior living facilities, home health services, or hospitals, doctor offices, and any other professionals who have responsibility to ensure people are receiving the care they require in order to achieve their best quality of life. Senior Living Link encourages senior service professionals to use the site as a tool so that together we are working as a team in ensuring the safety and best life for our clients.